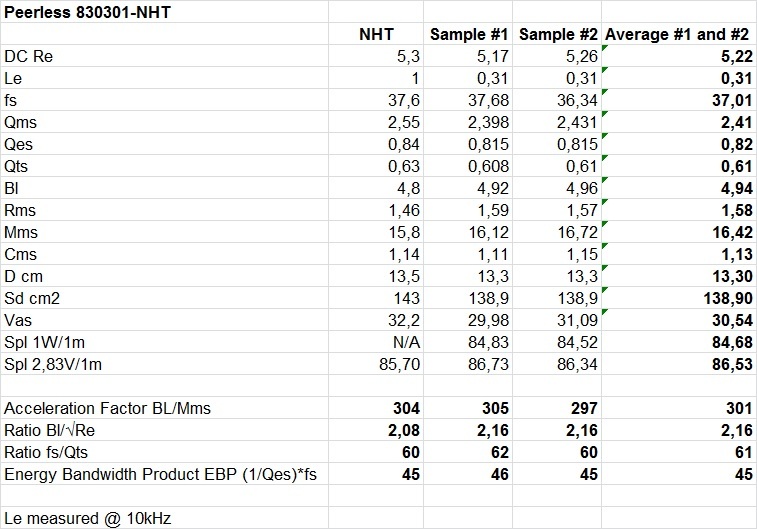 This review part covers the T/S parameter and free-air impedance measurements for the driver units used in the NHT 2.5i loudspeaker. 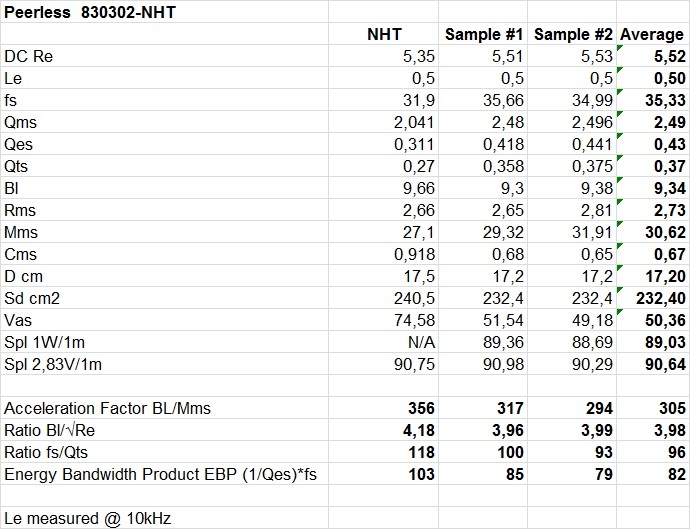 The tweeter used in the 2.5i model is made by SEAS and is basically the same driver as the SEAS 25TAF-D (H534) driver, but the one NHT uses is called 25TAF-D (H858-NHT). 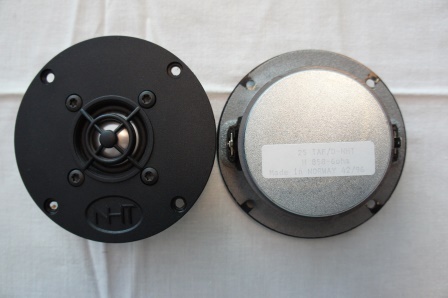 This tweeter version uses a slightly smaller face plate of 98mm instead of the 104mm used in the H534. The H858 tweeter version was manufactured in a separate line with tighter tolerances and quality control compared to the H534 version. 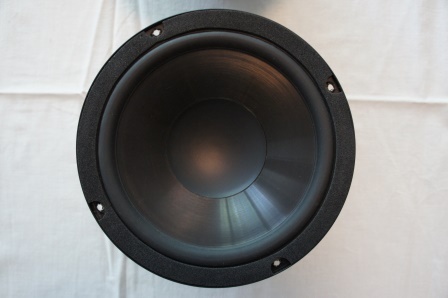 The 25TAF-D (H858-NHT) has an aluminium dome and the voice coil is immersed in magnetic fluid. The tweeter resonance frequency is within 1.5-4% from the official specification. 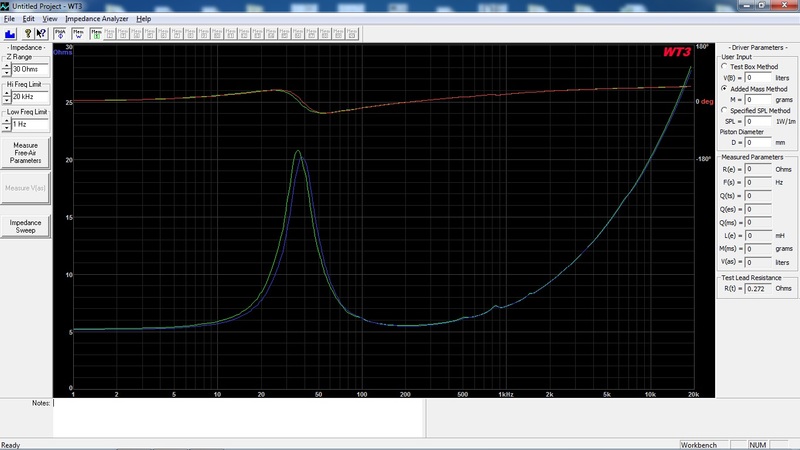 The two tweeter samples measures almost identical. 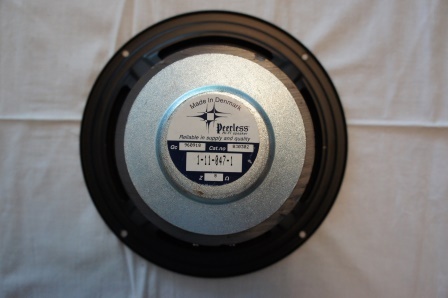 The mid-woofer used in the 2.5i model is made by Peerless. 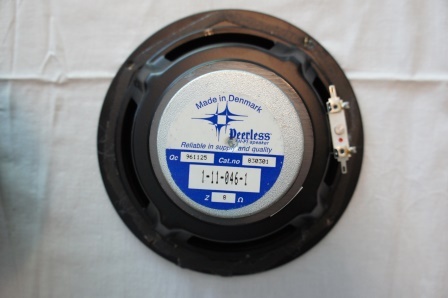 The 6.5″ Peerless (830301) mid-woofer has a polypropylene cone with a concave dust cap. The basket is made of stamped steel and it has a small 72mm magnet. The T/S parameters are almost identical to the official specification. With its low Fs, high Qts and with an EBP of 45, this mid-woofer is made for a closed box configuration. Almost identical impedance plot for the two samples with a small wrinkle around 850Hz. The sub-woofer used in the 2.5i model is made by Peerless. 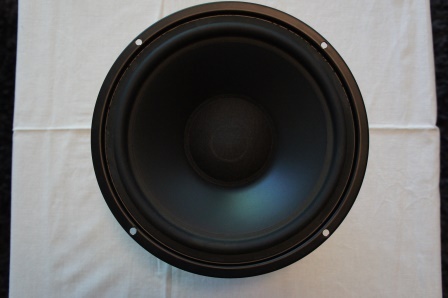 The 8″ Peerless (830302) sub-woofer has a polypropylene cone with a textile dust cap. The basket is made of stamped steel. Slightly higher Fs and Qts compared to the official specification. 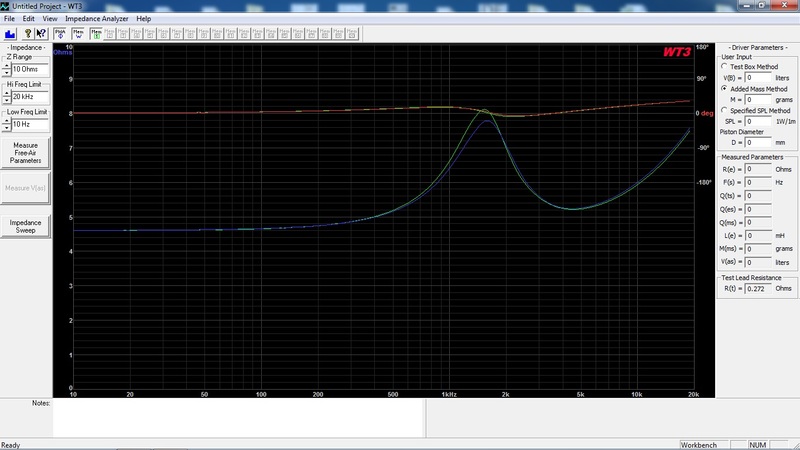 Identical impedance plots between the two driver samples.